RoofSeal is the best solution for leak repair or corrosion protection in tough environments and conditions, including land-fill and pond liners. Also excellent for Deck Ledger Flashing (self-adhesive membrane). Black EPDM FLASHING Grade Tape With Butyl Rubber Peel and Stick Adhesive. Uncured Flashing Grade EPDM stretches more for sealing irregular areas. LionGUARD Brand, Made in USA. 6-Inch Wide X 25 Foot Roll. Price/Roll. 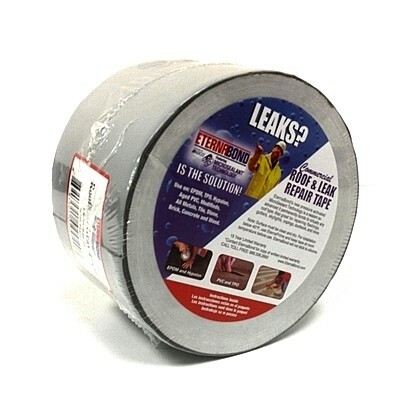 EternaBond RoofSeal BLACK Waterproofing Repair Tape, 4 in. x 20 ft., Price/Roll.